A lightweight addition to any workplace, our A4 Spiral Notebook is the ideal addition to your stationery cupboard. Presented in an A4 size making it compatible with most files and folders, this notebook features 80 sheets of good quality and lined paper for making essential notes. 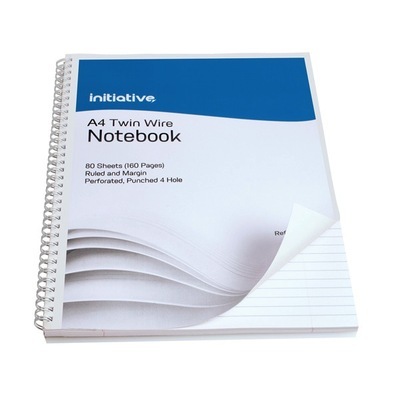 Lightweight in its construction, the spiral notebook can be carried around easily without weighing you down while the spiral bound fitting allows the paper to be folded back on itself while staying secure. Keep your paperwork safely stored away in one of our A4 Files and easily organised with our Coloured Dividers. Your notes will keep flowing with ease when you choose a pack of our Ballpoint Pens or why not add a creative twist with our range of Coloured Pens and Pencils?